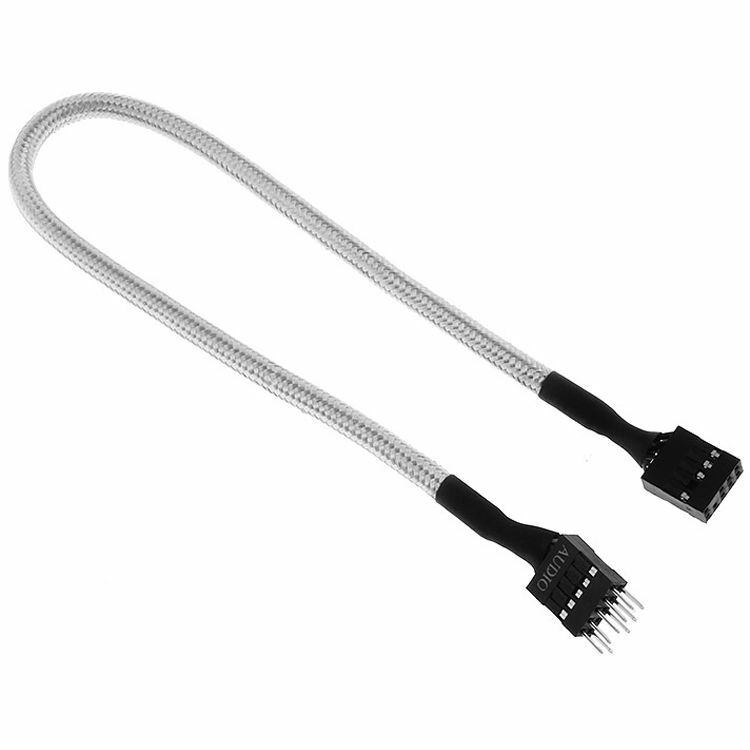 The 17.72", white sleeve/black connectors Alchemy Audio Extension Cable from BitFenix offers an ultra-dense weave and a multi-sleeved construction. It features multi-sleeved molded connectors that are crafted to comply with connector sizes and shape standards. The cable is made of an ultra-dense weave that is denser than a typical sleeved cable, which makes the cable underneath the sleeve less visible. The manufacturing procedures and standards, ensure optimal cable performance. It features multi-sleeved, molded connectors that are crafted to comply with connector sizes and shape standards. Box Dimensions (LxWxH) 7.0 x 3.0 x 0.2"